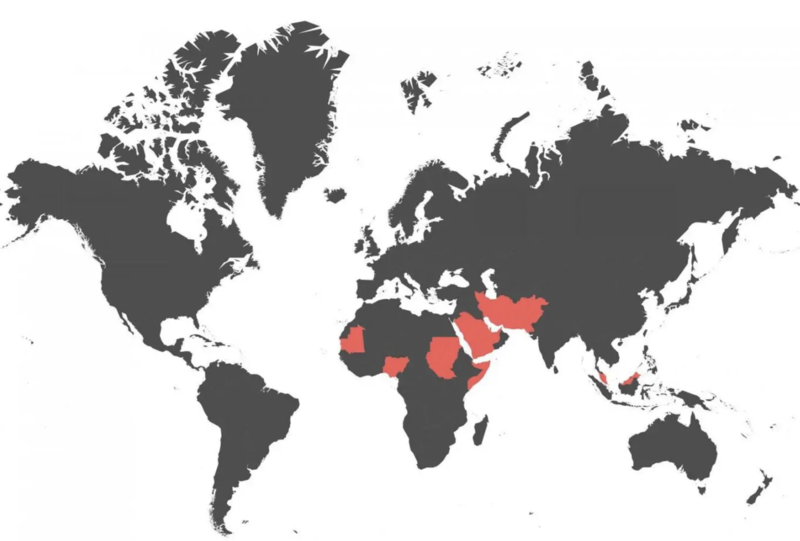 As of 2012, 33 countries had some form of anti-blasphemy laws in their legal code. Of these, 21 were Muslim-majority nations – Afghanistan, Algeria, Bahrain, Egypt, Indonesia, Iran, Jordan, Kuwait, Lebanon, Malaysia, the Maldives, Morocco, Oman, Pakistan, Qatar, Saudi Arabia, Somalia, Sudan, Turkey, the UAE and the Western Sahara. Blasphemy is treated as a capital crime (death penalty) in some Muslim nations. In these nations, such laws have led to the persecution, lynchings, murder or arrest of minorities and dissident members, after flimsy accusations. And where apostasy (renunciation of faith) is a capital crime: Afghanistan, Iran, Malaysia, Maldives, Mauritania, Nigeria, Pakistan, Qatar, Saudi Arabia, Somalia, Sudan, United Arab Emirates and Yemen. There’s a very large overlap with the capital-punishment countries above, and all are Muslim-majority nations. It looks as if Mo needn’t worry so much. This entry was written by whyevolutionistrue and posted on January 23, 2019 at 8:30 am and filed under blasphemy, Jesus and Mo. Bookmark the permalink. Follow any comments here with the RSS feed for this post. Both comments and trackbacks are currently closed. Ridiculous, the ultimate victimless crime. Yes, the good old days are tomorrow. Apostasy can’t be a capital crime in Pakistan. Yousuf Youhana was a catholic before he became an apostate to islam, and he went on to play for Pakistan for many more years, despite his apostasy. It could be a crime to go from Islam to some other religion (or none). I think that’s the way it works — you can’t be a Muslim and abandon your religion. Religions with those precepts don’t give a damn about protecting another religion from apostates. The Catholic Church has or had a similar rule — once a Catholic, always a Catholic, so it does no good to renounce the RC Church; in the eyes of the Church, one is still a Catholic, an apostate Catholic, subject to all the penalties of the RC hell. He left Islam? I think he joined but never left the cult. 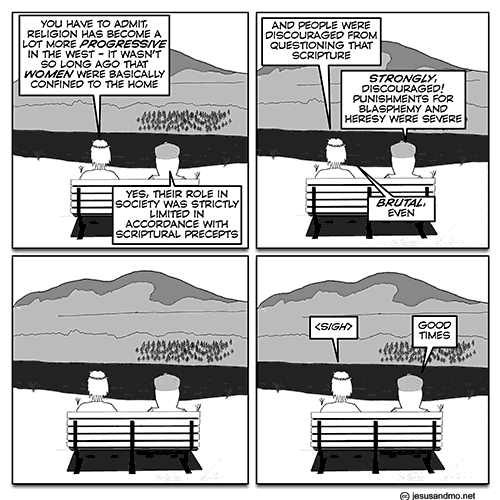 You are right about there being no Apostasy law yet. But I’m sure there will be if the TLP comes to power. That’s probably not apostasy, that’s a conversion, as far as the Imams of Pakistan are concerned. Which is acceptable and encouraged. What is much less toleraable is going from having some sort of religious belief to having no belief. As you would expect, the exact definition used varies by different jurisdictions (NB : not writers of dictionaries – mostly lawyers and/ or politicians), and frequently which religion you are leaving matters for which punishment you’ll receive. Wait, what? New Zealand? is that fines or prison? Hard to read on the map, as it’s way off to the side. I seem to recall Heather Hastie said the law had been dormant for a long time and was just recently repealed or expected to be repealed. A quick Google shows it still on the books. Maybe Heather will comment. The only prosecution for blasphemy was in 1922 and it failed. Punishment is up to a year in jail. Prosecution for blasphemy requires the assent of the Attorney-General, but no political party would support a prosecution. Do you know anything about a referendum to remove the law from the books? Are you thinking of Ireland, perhaps? Ireland has (had? I think it’s being changed) a constitutional position specifically for the Catholic church, for which they needed a referendum to change. But a bog-standard bit of non-constitutional legislation shouldn’t (generally) need a referendum to authorise it. Not necessarily even a political manifesto statement. Yes, I probably was thinking of an Irish referendum of some sort. Someone commented here that legislation is in the works in NZ. That also seems to be the situation in Brazil. There are anti-harassment laws and laws treating hate crimes, but I have not heard of any fines or arrests involving blasphemy or the like. The Brazilian anti-blasphemy law referenced by Wikipedia dates from 1940. Since then Brazil has adopted at least three new constitutions. Plenty of obsolete laws on the books that nobody’s bothered to repeal because they’ve never been used. In every country. The death penalty for treason seems to be one of those that typically remained on the books for decades (after all other death penalities were abolished), never used, till countries got around to repealing it. A Crimes Amendment Bill which will repeal the blasphemy provisions is currently progressing through the New Zealand Parliament. It had its second reading in November 2018. It is a government bill and the select committee report had the support of all parties. This Bill should progress fairly quickly when Parliament resumes this year. ‘Tis a constant battle against the forces of dis-enlightenment. As set forth in Steven Pinker’s book Enlightenment Now. But, but, muh ‘Coexist’ bumper sticker! The map looks like Russia has anti-blasphemy laws. Is this possible? The gangster Putin has embraced the church & brought in laws to secure their future. In gratitude the church looks the other way as he builds his personal fortune. He may be the richest living person – difficult to be sure. Cynically embracing religion is also a way for Putin to be more popular among the serfs he’s stealing the future from. In July 2013 a blasphemy law came into force that sets fines as punishment which account up to $15,000 and jail terms of up to 3 years for “offending religious feelings” or “intentional” and “public” displays that cause “offence to religious sensibilities”. The way that the Orthodox church (specifically, but religion in general and monotheistic religions more so) promotes the literal deification of one person plays to a theme which many autocrats want their populations to accept thoughtlessly. If you’re told from childhood that the guy behind the altar is THE MAN, and he is THE BOSS, then it encourages future events when you accept that another THE MAN is THE BOSS. Russia is very resistant to Westernization. I can only speculate why, but this is a fact.